Kinesiology Taping originated in Japan in the 1970s. It became popular in Australia, particularly amongst the sporting community, after it was used extensively at the 2008 Beijing Olympics. These days it's not just for athletes. You're as likely to see coloured tape on the rugby field, as the school yard, and in the office. K=tape is not like rigid strapping tape, which is used to restrict movement at a joint. K-tape is more commonly used to treat muscle injuries, assisting rather than restricting movement. It’s flexible, comfortable, and functional. K-tape comes in a range of colours. A popular brand of K-tape is FIT-TAPE. FIT-TAPE is hypoallergenic and latex free, meaning it's great for sensitive skin. FIT-TAPE is suitable for all ages and applications. 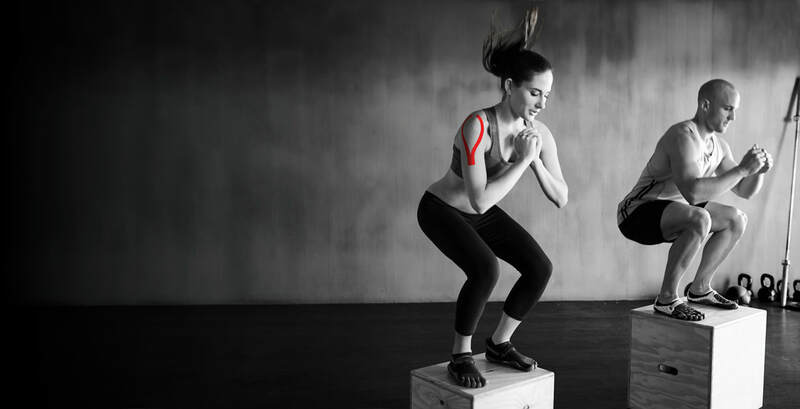 Whether the injury is related to sport, work, or posture, FIT-TAPE is an ideal treatment option to get you back to exercise, sport, and general day-to-day activities faster and more effectively. You can book an appointment to get taped now. A taping appointment comes with a full assessment of your posture and biomechanics to diagnose the cause of the problem, then applying the tape for instant effect, and incorporating specific exercises for maximum rehabilitation results.